When you work as one cohesive unit, the patient can tell. Our professionals know that dental health is not just about white smiles: it’s about having strong teeth and healthy gums. It’s about prolonging the simple joy of eating delicious things! Our mission is to help our patients accomplish these goals in a painless, compassionate, and efficient way. Come meet us, we think you’ll like us too! Leading the team since he graduated in 1996, Dr. Jomha has filled his clinic with wonderful people he’s proud to work with. White Oaks Dental has become a staple in the community due to Dr. Jomha’s charismatic and personal take on dentistry. He is dedicated to educate and communicate the importance of oral health to his patients. Jodi has worked with Dr. Jomha for 15 years. She keeps this place running with her organization and time management skills as well as her like-ability. There’s not a question she doesn’t know the answer to. Go ahead, ask her! Holly has been a Registered Dental Assistant for 13 years. She puts a smile on those around her and has been a vital part of the growth of our dental clinic. She is likeable, knowledgeable, and keeps us all on pace! Kayla is new to our team and we are very excited about it! Helping us out on the hygienist side, Kayla is eager and ready to get to work! As we grow, we are always looking to fill our team with great individuals to better serve our patients! Kim has been with White Oaks for over 12 years. As an Edmonton native, she treats her patients with the familiarity of a neighbour. She’s passionate about bringing considered, quality care to all people, and building great relationships with her clients. Although Sophia works with us part-time, she brings a lot of joy and personality with her on those days! Working on her scaling module, she is determined to learn and grow her skill-set with Dr. Jomha. We’re lucky to have her on board! Olivia has been keeping mouths clean and tidy since 2009 and it’s a pleasure she’s part of our great team. Genuinely caring about her patients and keeping their smiles happy and healthy is her main motivation. Every day is a different day and she enjoys the challenge dentistry can bring. 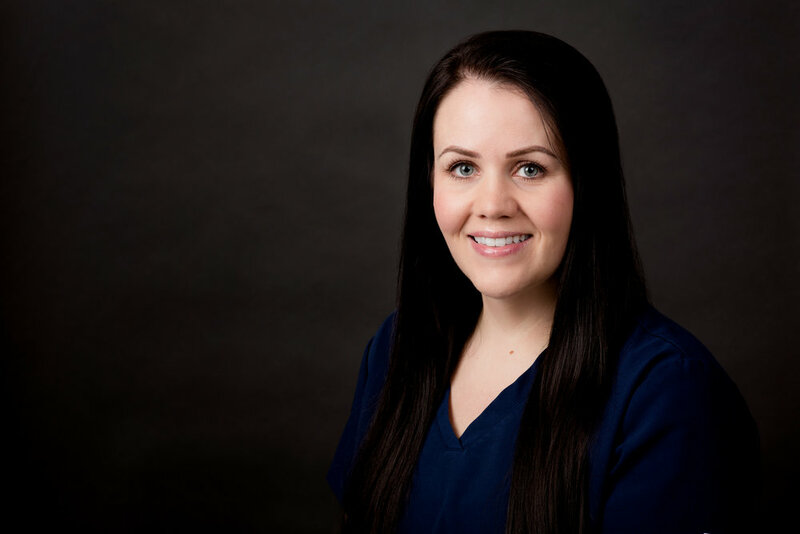 For Jen, she is dedicated to providing exceptional oral care for her patients. Keeping herself up to date on all the latest procedures and technology, so she can best serve her patients.